Gallia Citizens for Prevention and Recovery discuss its upcoming Carnival of Hope. 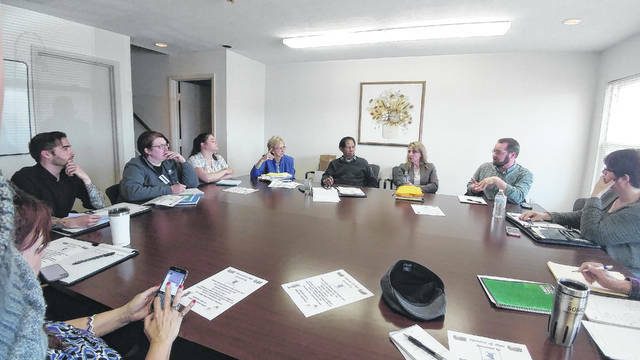 GALLIPOLIS — Members of the Gallia County Citizens for Prevention and Recovery gathered at the Gallia-Jackson-Meigs Boar of Alcohol, Drug Addiction and Mental Health Services to discuss logistics, door prizes and food details as the Carnival of Hope approaches. https://www.mydailytribune.com/wp-content/uploads/sites/42/2018/04/web1_0405181320a.jpgGallia Citizens for Prevention and Recovery discuss its upcoming Carnival of Hope.